Hi all! How's everyone's week going? So, I know this post is long overdue, since I actually completed 'stage 2' of my ombre hair colour about a month ago, but since I've nothing to do today apart from nurse my hangover in bed, I thought there's no better time like the present! If you haven't seen the first post of my transformation into ombre hair, click here if you fancy a read. In case you're wondering, my long-term aim for my ombre hair is to have the ends very light blonde, which of course, involves bleaching it. Since my hair is quite prone to damage (I used to murder it with straighteners) I decided that it'd be healthier for my hair to gradually go blonde in stages, rather than bleaching it all in one go. 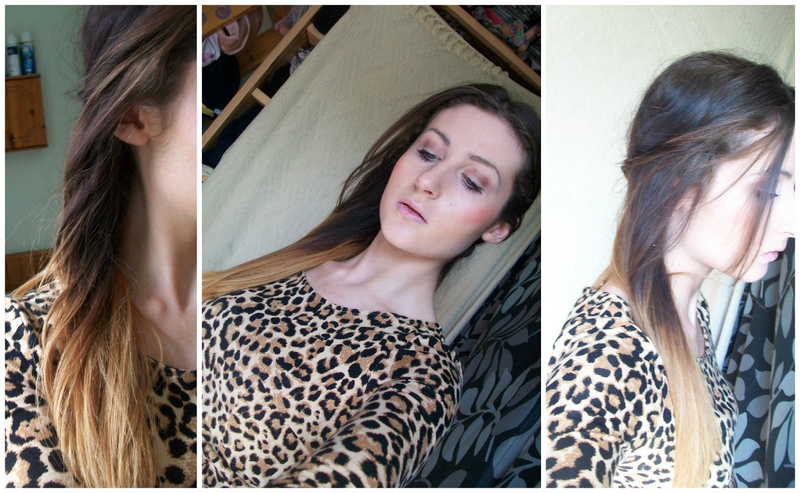 So, here we are - my second step-by-step to blonde (sort of) ombre hair! For the second part of my dying process, I chose L'Oreal Preference Wild Ombre in No3, after previously using shade No1 for my first transition into ombre. I decided to skip straight ahead to shade No3 instead of No2 because, honestly, the colours on the boxes don't look that different. And aside from that, I figured it probably wouldn't make a major difference to the ombre I already had, so thought I would take the quicker route to blonde! But hey, don't stress too much - it clearly looks blonder in very bright sunlight too! 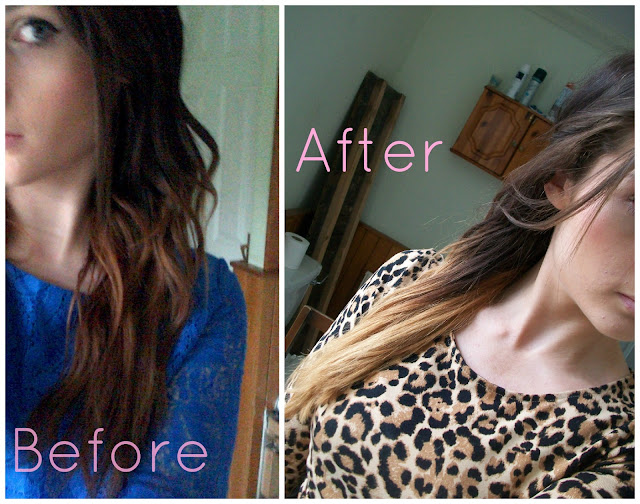 For my wash routine, I'm basically using the same products I was using previously in my first stage of Ombre. I haven't felt I needed to change anything exactly, but, as what seems to be a very common after effect of this dye, my hair did look considerably more ginger after I had dyed it. However, fear not, there are products to combat this! Shampoo Pantene Pro-V Repair & Protect Shampoo massaged into the roots (sometimes I shampoo twice to give a thorough cleanse). Now the last but not least product I use to finish with - Lee Stafford Bleach Blondes Conditioner. This stuff has been my life saver, as it basically lightens your bleached hair with the lilac colour to counteract and wash out any brassy, yellow tones. Honestly, it works! Plus, the bottle lasts forever. Even more brilliant. Especially so for bleached hair, it's very important to give it some extra tender loving care with products designed specifically to help damaged hair that little bit more. After I come out the shower, I always apply Aussie Dual Personality Anti-Frizz + Conditioning Milk. Even if you have don't curly hair like mine prone to frizz without the added nuisance of bleached side effects, it's a good idea to use this kind of stuff as your hair will, sadly, suffer the consequences for the first week or two :-( but, keep using leave-in conditioners or the like to tame your tresses and you'll be fine! Lastly, before using any heat appliances, I always spritz on a hair protecting spray - at the moment I'm using Charles Worthington Protect Salon Finish Heat Defence Spray. I'm not minding it so far, and it's not too sticky, but I feel like it dries too quickly and doesn't quite cover my huge mane of hair completely. But hey, if it does the job, I can't complain. And voila! 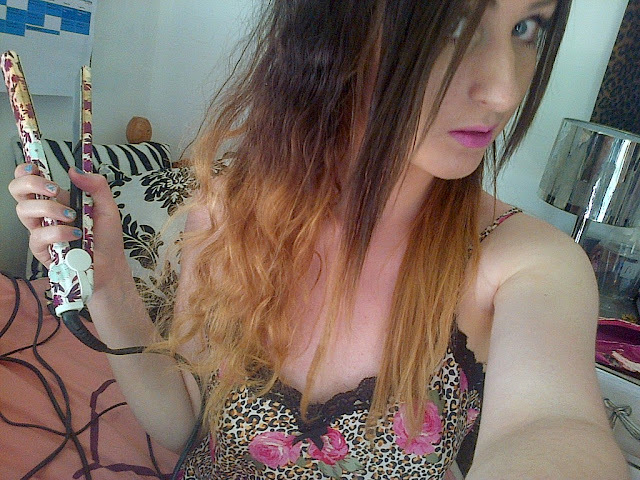 There you have it, my 'strawberry blonde' ombre hair colour.. In a few weeks, I'm actually going to take the blonde plunge once and for all, and get my hair properly bleached blonde at the ends. I can't wait to see the end results, and I will be posting pictures and another step-by-step if you're interested, so keep your eye out! How do you guys feel about this shade of ombre? If you have any questions at all about the dye or anything else, post em in the comments and I'll get back to you as soon as I can! Hahaha aww thank you gorgeous! You're too kind! Thanks a bunch for stopping by, have a beautiful day. Thanks hun! Oh yeah I've heard before that salt spray's good for giving your hair texture, I'll have to try it! Ah, you're so welcome, I'm so glad you found this helpful! 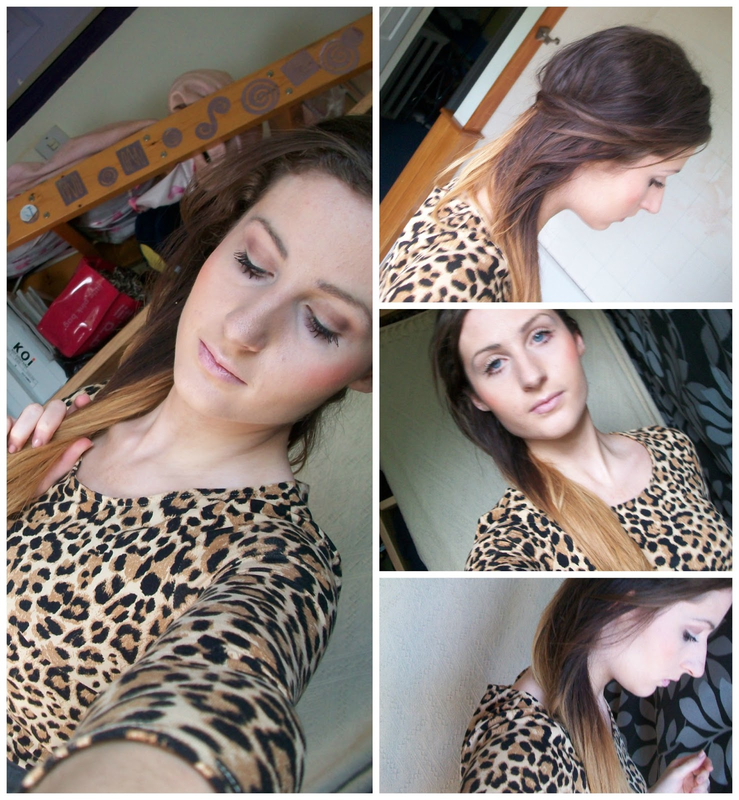 I bet your ombre looks fab, and I hope these products help you like they've helped me :-) let me know how it goes! Hi Calee! First off, I'd like to apologise for the incredibly long delay in replying to your comment. I've only just seen this now I'm afraid! If you're by any chance still looking for advice, I would suggest going straight to shade No3 in this ombre haircare range, or, bleaching your ends blonde with a dye specifically for that. 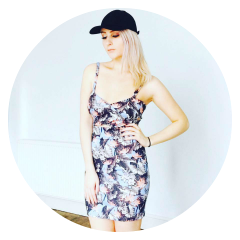 I've actually already written a blog post on this particular dye and took pictures of results which you can find in stage three of my ombre posts. I hope this helps and please do get back in contact if you need anything else!